RPI Group is a Big Hit in Europe! - Remediation Products, Inc.
RPI Group is a Big Hit in Europe! “Worldwide, water scarcity coupled with water contamination increases the need for management and effective solutions to address these problems. In the ATV Foundation on Soil and Groundwater we see the AquaConSoil conference as a perfect forum for experts within the field to meet and – through knowledge Greeting exchange across borders – develop solutions for contaminated groundwater-soil-systems and water resource management.” – Ida Holm Olesen President of the ATV Foundation of Soil and Groundwater. 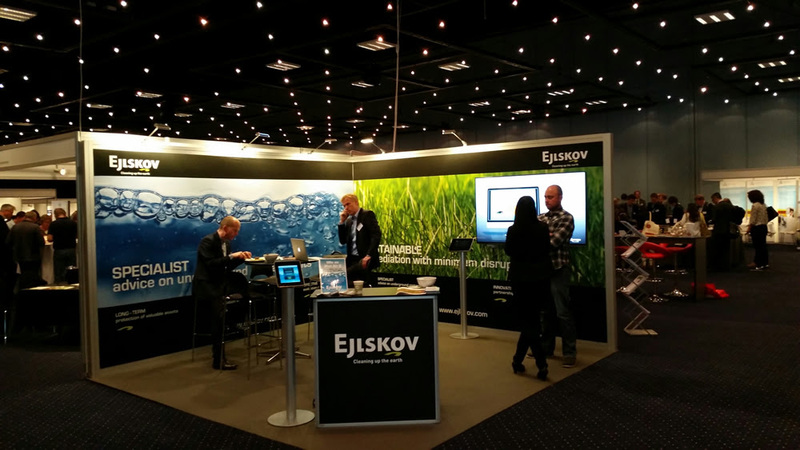 I recently had the honor and privilege of joining our award winning European colleagues from Ejlskov A/S at the Aquaconsoil 2015 Conference in Copenhagen. Ejlskov A/S, the European face of RPI Group since 2011, was a key team member for a site that was awarded with the Best Remediation Project in the UK for 2014. Many thanks to Palle, Claus, Susi, and Lars – I had a great time and was truly impressed with your progress “across the pond”.